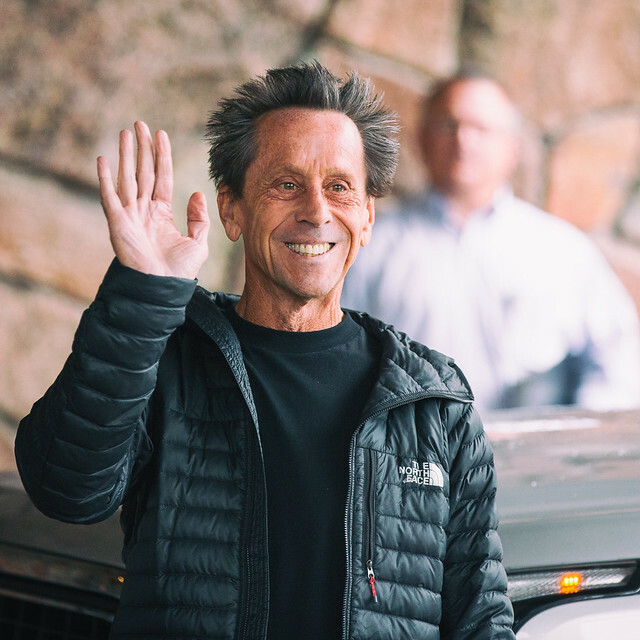 A few things I learned from Brian Grazer. But first, do you have an antilibrary? It doesn’t need to be physical. An antilibrary could be like my stack of unread books or an Amazon wishlist, or notes on your phone. The antilibrary is the product of curiosity. I found A Curious Mind in my antilibrary. A book I read because I was curious. Here are 4 things I learned from Brian Grazer’s A Curious Mind: The Secret to a Bigger Life. 1/ Grazer’s book is about curiosity, and curiosity is a mental model. Mental models are frameworks of thought that help solve problems. To a hammer, every problem looks like a nail – but not every problem is. Mental models are tools to use at different times. Curiosity can be our flashlight. Grazer uses curiosity to find answers to confusing problems. When faced with giving a speech, he uses curiosity to discover what the listeners want . When faced with telling a story, he uses curiosity to find the good parts. His life has been a curious life, because that’s a helpful tool to solve problems – be curious about them. We can add curiosity to our tool belt alongside: part of the reason thinking, the outside perspective, filters against folly and others. The Tom Hanks movie Splash took seven years to make, and it wasn’t even the Mermaid movie that Hollywood thought would succeed. Grazer heard many “no’s.” The movie succeeded because Grazer was curious. He used each “no” as a chance to be curious. Did someone say “no” because of the director? Was it the script? Did they just not like Grazer? Each “no” forced him to ask more questions – and he got more answers. There is a lot of rejection if you push forward. Andy Weir and Ben Mezrich heard “no” before becoming best selling authors. Brian Koppelman and David Levien heard “no” when they tried to sell Rounders. Founder of Twisted Sister, Jay Jay French said, “the early days were a struggle, it was constant defeat. Constant rejection.” Curiosity is a way to deflect “no.” It’s a way to keep moving forward, to keep hustling. 3/ ABH, always be hustling. When Grazer started as a messenger in Hollywood, he told gatekeepers he had to hand deliver his messages. He didn’t need to. When a better office opened up, he asked for it. He got it, but didn’t need it. When he moved again to an office that overlooked a walkway he would yell down at people walking by. His boss asked him to stop. He didn’t. (He connected with Ron Howard this way). Each time his hustled, he had to push through a grey area. (Don’t talk to the talent, don’t ask for new offices, don’t yell out the window). He had to be willing to ask for forgiveness rather than permission. In his snowboarding through Times Square video, Casey Neistat said he didn’t get permission to use Frank Sinatra’s song as theme music, but he did use it. When Jack Bogle started Vanguard he explained how creating a fund meant that he wasn’t managing a fund. “You’re not allowed to get into investment management,” his bosses told him. Always be hustling, sometimes through grey areas. 4/ Curiosity is a great way to bust your biases. We don’t know what we don’t know, and the easiest person to fool is yourself. If these are the locked and blocked doors, curiosity is the key and crowbar. My bias was against Grazer, or more broadly, what he represented. What can a Hollywood movie producer who lives in California and has hair that sticks straight up teach me? It turns out a lot. (The story of his hair induced guilt). That I would not read this book because of who Grazer is, is stupid. That’s how biases work. They sneak in and take root. They hide inside and influence your thoughts. Biases are a (sometimes malevolent) puppeteer. How can we identify a bias and bust it? Curiosity is Grazer’s preferred tool, but there are are other ways too. Pirates noted that dead men tell no tales – we call it the survivor bias. One way to use Twitter well is to get contrary opinions. Bob Seawright finds a devil’s advocate. Don’t think you are unbiased, we all lean one way or another, sometimes passively. In her book, It’s Complicated, danah boyd points out that even the software we use is biased. This isn’t to say that biases are always bad. Sometimes they can help. We should at least be aware them. It’s made a difference for me, without busting my bias, I never would have read A Curious Mind – and you wouldn’t have read this post. Thanks for reading, I’m @mikedariano on Twitter. If you liked this post, you’ll love my monthly email about books or my own book about why start-up fail.